Ted Rollins, CEO of Campus Crest, received his BSBA from the Citadel and his MBA from the Fuqua School of Business at Duke University. The Fuqua School of Business is named for J.B. Fuqua, born in 1918 and raised by his grandparents on a tobacco farm in Prince Edward County, Virginia. 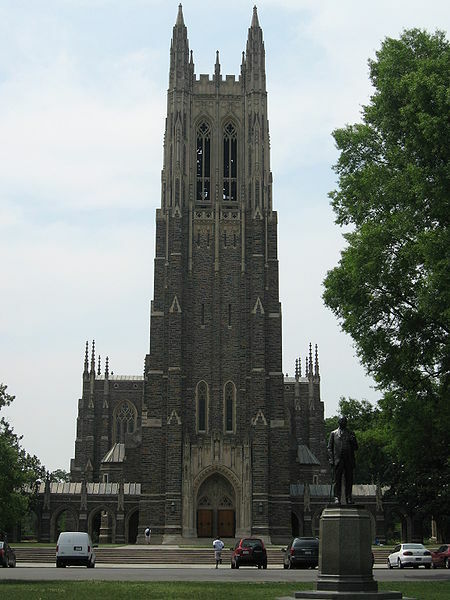 Fuqua began his relationship with Duke University as a teenage student, when he borrowed books by mail from the Duke library. Fuqua never went to college. Among his many accomplishments, he is best known as the founder and chairman of Fuqua Industries, Inc., an Atlanta-based Fortune 500 company. The small brick manufacturing company grew to become a multi-billion-dollar conglomerate of business holdings. Fuqua’s cumulative giving to Duke totaled nearly $40 million, establishing him as one of Duke’s largest individual benefactors. Since its founding, The Fuqua School of Business has established itself as a leading educator and supplier of future business leaders at all levels around the globe. The school earned this leadership position with the help of corporate partners who derive value from their relationships with Fuqua. Corporate partners are provided with premier opportunities to recruit from among the nation’s top MBA graduates, to sponsor Executive MBA programs, to collaborate with our faculty in areas of research and customized corporate education, to partner with students in enriching the MBA experience, and to gain visibility through support of institutional programs and capital projects.